On Saturday 8 April we held a very successful Race Night at the Masonic Social Club in Lochgilphead. 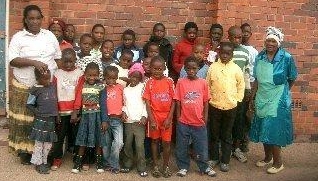 £1468 was raised towards school fees for the Pelandaba Orphans - an amazing amount! There were about 30 people at the event and everyone dug deep into their pockets to make sure the night was a success. It was noisy and a lot of fun! Thank you to the Masons and all the people who helped to make it such an enjoyable evening.